When a star and a boulder get together, something weird's gonna happen. In the case of Stella and Bulder, that weird thing is a video game. Currently in development by indie game studio Henchman & Goon, Pode is a co-op puzzle and exploration game that emphasizes experience over challenge, setting up a gorgeous world two players can explore together. Stella and Bulder have their own unique abilities that helps them traverse the dreamlike 3D land, but in order to progress, they have to work together, a process sometimes known as "cooperation". Pode can also be played by a single person switching between characters, but life is always more fun when a friend can come along. Henchman & Good want Pode to be playable by a wide age range. To that end, puzzles have their sharp edges smoothed out to provide a less challenging but no less rewarding experience. The joy of exploration is at the heart of the game. Playing through puzzles should only enhance that experience, not hinder it. Failure states won't be incorporated into Pode, either, allowing for continuous play that isn't broken up by the frustration of having to restart a level. 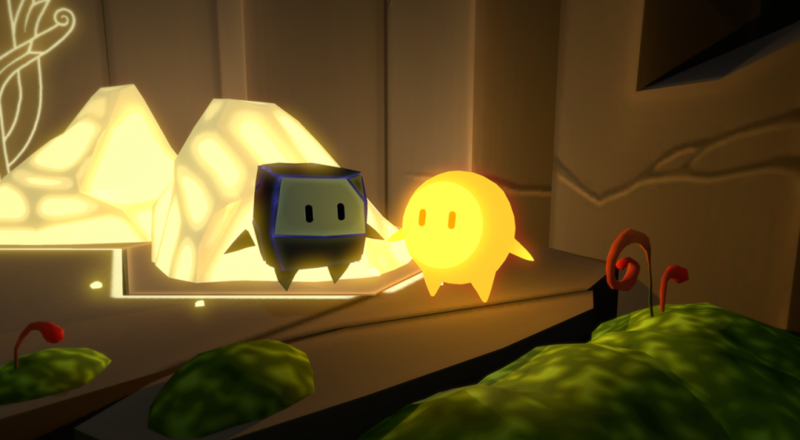 Pode is still in the early stages of development and has only been teased in minimal form. A few screenshots, nine seconds of gameplay, and some artwork. Strangely enough, that's all it needs to capture our attention. Page created in 0.9965 seconds.